May is the month of our favourite season of Spring and Chelsea Flower Show in London. Therefore, we wish to share some our favourite design events and happenings from Dubai, New York, London to Brussels. We will give you the run down of the some of the events that have interested us. Some events that have been and gone while we write this and some that are still in full swing. The month started off with our invite to Dubai and the launch of Commercial Interior Design’s, 5th edition of the 100 Objects of Desire coffee table book. The party took place at the venue The Fridge, with 150 invited guests. We were pleased to see our own homegrown Belgian design talent of Quentin De Coster, who is featured in the book alongside the likes of Ron Arad. 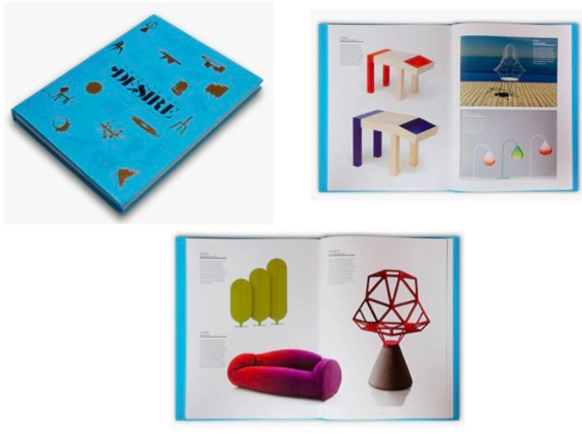 The book features everything from balustrades, lighting installations to shelves. A definite must for us and we are sure it would look good on our D2S coffee table. Dubai’s Index Exhibition Fair also taking place currently. D2S went along a few years ago, where we recall seeing some friendly faces of the chaps at Boca do Lobo back in 2011. We are pleased to say, it has definitely orientated more towards contemporary design than past years. Marketed as the main Interior Design Fair for the Middle East and North Africa Region and aimed at the architects, designers, purchasers, manufacturers and suppliers. D2S was in Dubai in November of 2014 for the Design Mena Conference, so perhaps a visit to INDEX is overdue and in pipeline for 2016. 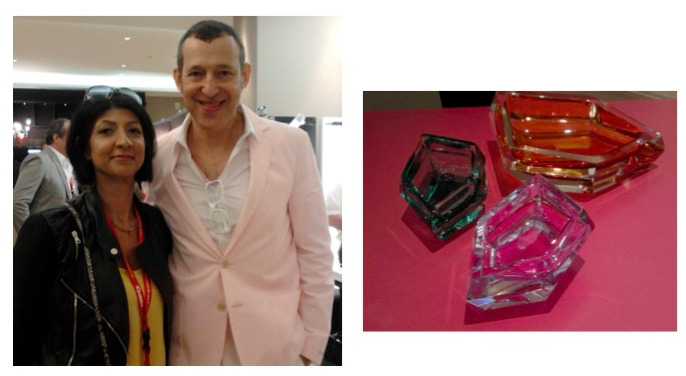 We had the pleasure of meeting Karim Rashid, who was keynote speaker at the Conference last year and we enjoyed the conversation about one of Karim’s favourite topics of Analogue vs Digital. Karim was also showcasing his designs collaboration with Italian brand Purho. If you’re ever in Dubai, do make sure you pay an interesting store we visited called O’de Rose. We went along to one of their evening events whilst we were there. We had a great time with our friend Monica and also had the pleasure to meet Khalid Shafar, an Emirate designer, who was also on the panel discussions at Design Mena Conference. 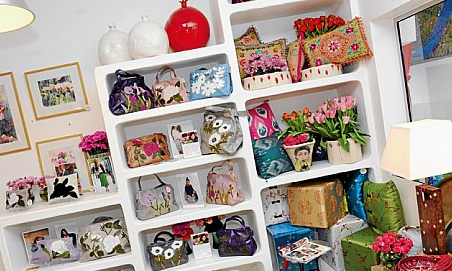 O’de Rose has an eclectic mixture of some wonderful Fashion, Art & Design. Hopefully, we’ll back towards the end of this year again and make a few purchases. We have seen a surge of new creative talents and initiatives emerging around Town. From the trend of the concept stores to pop-up stores. We are familiar with the high-end concept store of SMETs, with its mix of jewellery, fashion and furniture. SMETs have held some hip and happening events also. A few weeks ago we popped into the Place St Catherine area of Brussels, around Rue Laeken with our friend Nathalie. 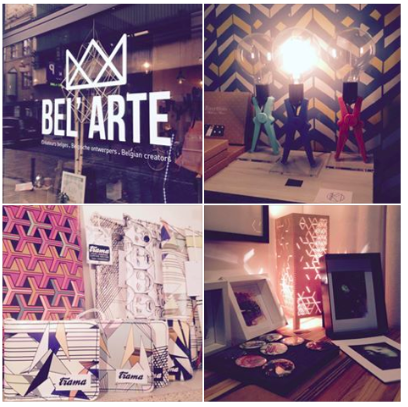 The store Bel ‘Arte was a like an Aladdin’s Cave of Belgian discovery, with some fantastic jewellery and design objects. Whilst chatting to the Owners, they also confirmed an abundance of creative talent out there, stating they get inundated with requests from designers to showcase and sell their items in their fabulous retail outlet. 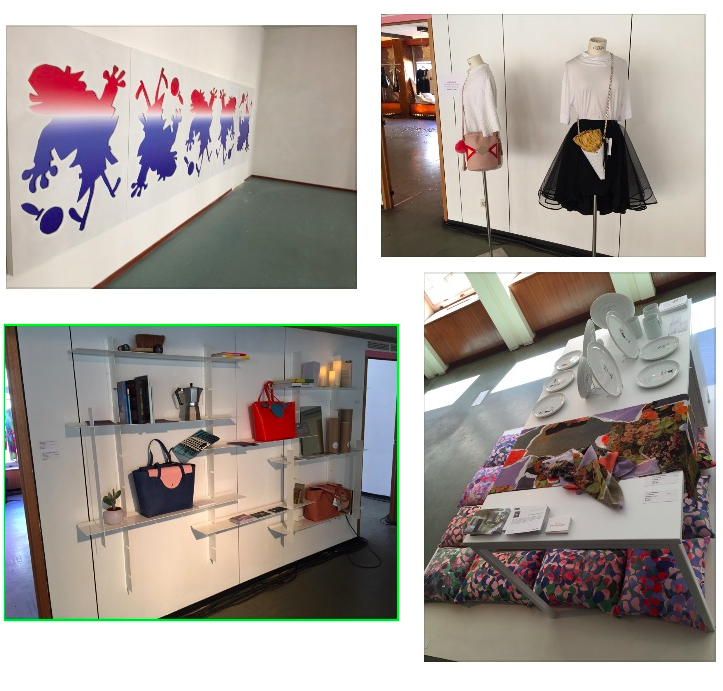 D2S also visited the Belgian Concept Store, a pop up retail venture showcasing a mixture of designers from the well-known Olivier Strelli to some of the interesting accessories designers. We seen the store has recently re-opened with new management with some alternative designers showcased. An annual event in mid May and up to the other day when it closed it’s doors for another year, was the return of the third edition of National. The exhibition and pop up store that showcased Belgian talent, born out of passion of the three main organizers. We went along to see the exhibition which takes over three floors of unused office block next to the architectural splendor of the Palais du Justice. The main exhibition space of the third floor enticed us in and we loved the fashion and accessories. Especially the handbags of Passerin-nonpareil, with their fusion of mixing architectural designs created in Belgium and made in Florence. We were also intrigued to see the tableware of the very young and talented Capu-Line. An artist who illustrates her works with her dreams, shown on a line of cups and saucers for the exhibition, definitely one to watch. Chatting to Leopoldo Profilli, one of the main organizers, made us realize there are so many young passionate people, who also want to get out and showcase not only their work, but also help other wonderful creatives out there. A regular monthly event that has caught our attention is the BMW Brand Store, Art and Design Sessions. Curated by our friend Stephanie Manasseh, who is the Art Curator for these events. So far, we have seen the renowned French photographer Marc Legrange. This month has seen the talented designer, Xavier Lust come to the venue. Last week we also seen the launch of the new concept of the music sessions, featuring Pierce Fulton. We are looking forward to the up and coming sessions with Gauthier Poulain and Antoine Rose in June. Well, we didn’t make it to the Chelsea Flower Show as yet, instead we have our D2S garden to enjoy and share with you this May Spring day. 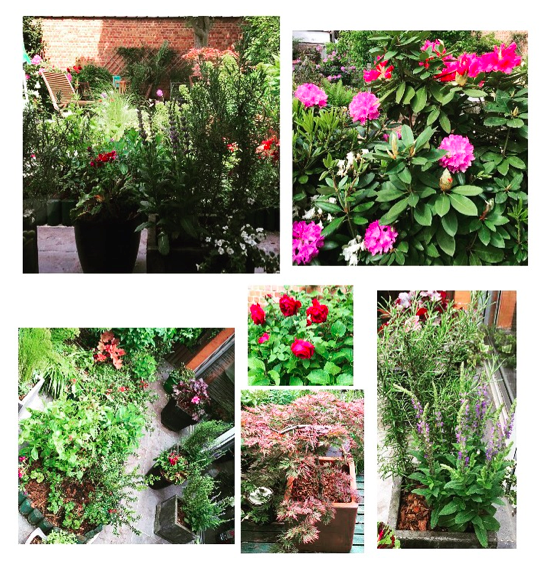 It’s looking great thanks to Joe at Urban Gardens with all of it’s flowers. Enjoy! Thank you David, glad you enjoyed it!